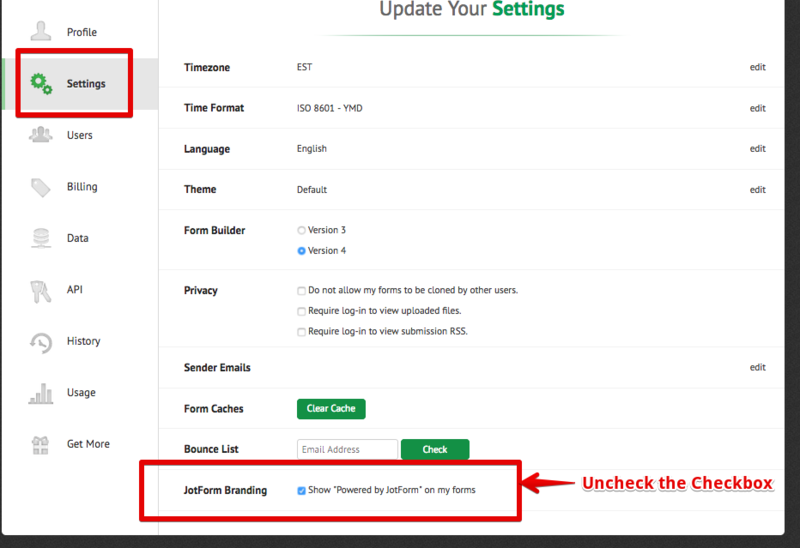 Is there a way to remove the message to create your own form? It confuses some of our clients. You can do this from your account settings.